The recent tax code changes will have an impact on your tax deductions next year. While you’re figuring out how this will affect you, you also need to make sure you’re taking advantage of all the deductions you’re entitled to. Blackwell’s Tax Service has five commonly overlooked tax deductions we’d like you to be aware of. Mortgage points from a refinance – If you refinance your mortgage this year, you may be able to deduct any points paid. Talk to your lender and look at your mortgage tax statement before you file. Student loan interest paid by parents – When a parent pays back a student loan, the IRS views this as money given by the parent to the child. If the child isn’t claimed as a dependent, the child can claim up to $2500 of the student loan interest paid for by the parent. State sales taxes – This deduction mostly helps people who live in states that don’t collect state taxes. It allows people to deduct the sales taxes for large purchases they made over the past year. However, you must to choose between claiming this deduction or claiming the state and local income tax deduction. State tax you paid last spring – For those who owed taxes on their 2017 tax return, this deduction can help you. 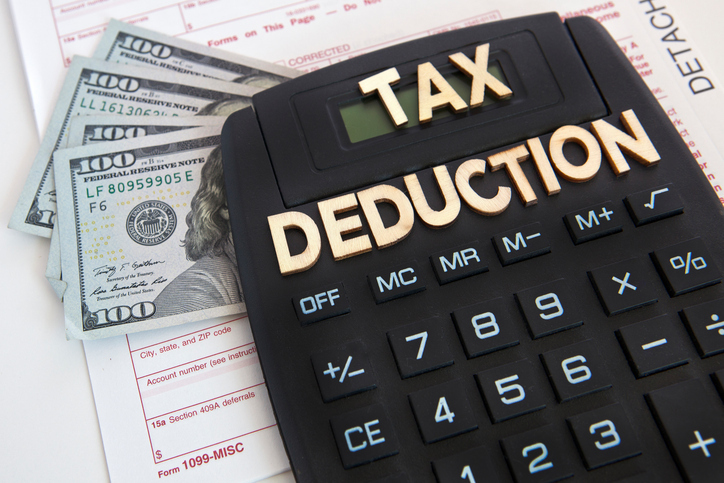 To get this deduction you must include the amount of tax you paid as part of your itemized deduction on your 2018 tax return. Out-of-pocket charity contributions – You can write off any out-of-pocket expenses for charitable deeds. Monetary donations count but so do in-kind gifts, office supplies, and mileage. Even the smallest expenses can add up over the course of the year. When you need tax preparation in Rock Hill, Fort Mill, and York County, SC, call Blackwell’s Tax Service. We offer complete tax filing near you, along with tax advice year-round.